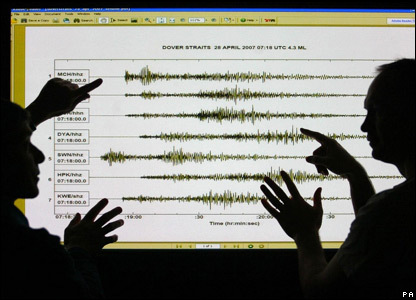 An earthquake with a magnitude of at least 4.3 shook parts of Kent on Saturday, damaging buildings and causing some residents to be evacuated. 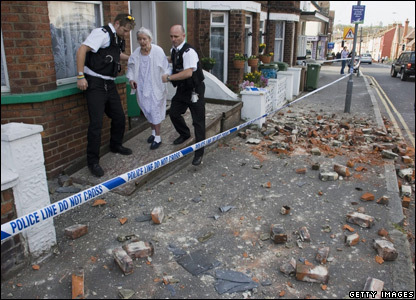 The British Geological Survey said the tremor, which occurred at 0819 BST, had its epicentre in the Dover Straits. 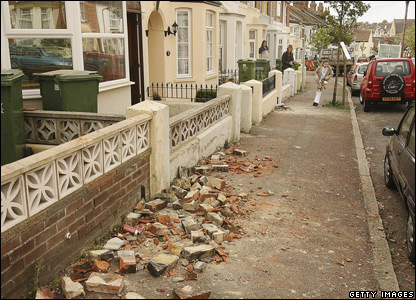 Residents of Folkestone reported hearing loud rumbling noises and feeling houses sway from side to side. 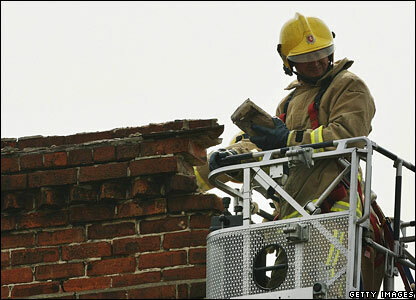 Homes suffered structural damage including cracked walls and falling chimneys. 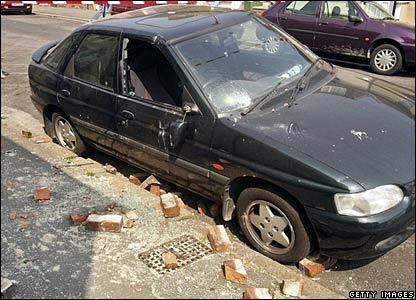 And a number of cars were damage by falling masonry. 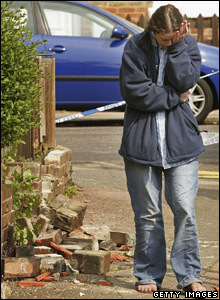 The Association of British Insurers said the cost of repairs should be covered by any comprehensive motor insurance. 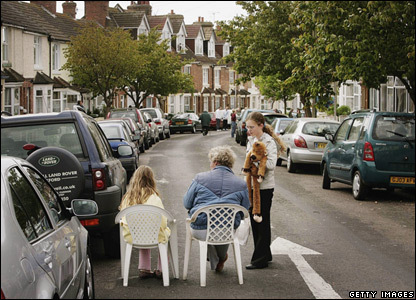 Afterwards, people gathered in the street to share their experiences. Others went to a local church for shelter and refreshments. 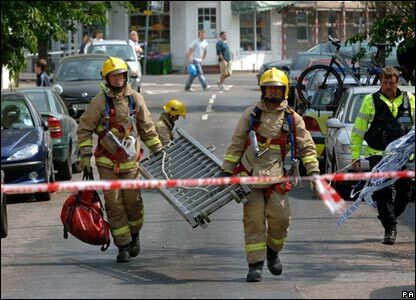 The worst affected streets in Folkestone were Blackbull Road, Marshall Street, Bradstone Road and Pavilion Road, according to Kent Fire and Rescue Service. 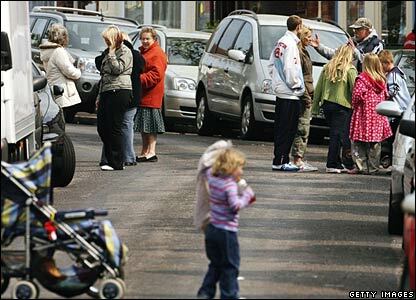 Experts said it was the largest earthquake in the UK since one in Dudley in the West Midlands in 2002. 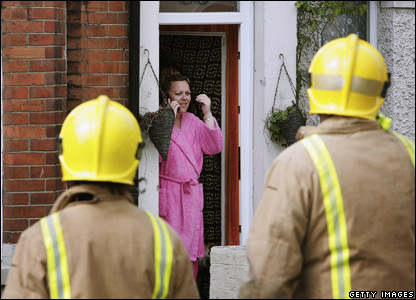 The fire service took more than 200 emergency calls, from people concerned about issues ranging from structural damage to gas smells. 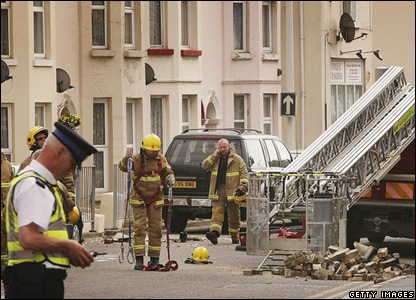 Electricity supplies to most of the several thousand homes left without power in the Folkestone and Dover area after the earthquake have been restored. Residents moved outside to survey any damage caused to their homes and because of fears of possible aftershocks.